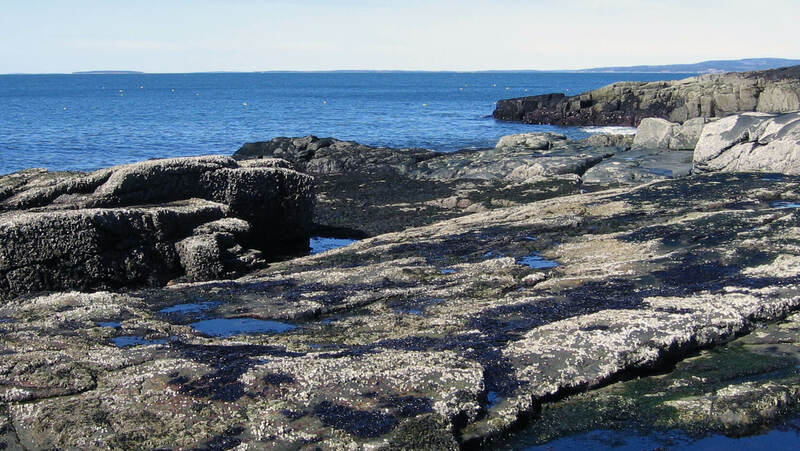 Sequencing of the nuclear genome of Porphyra umbilicalis — laver or Atlantic nori — has revealed insights into how the bangiophyte red algae have thrived for over a billion years in the harshest environmental conditions — the pounding waves, baking sun and drying winds of the intertidal zone. An international research team of 50 scientists led by Susan Brawley, professor of marine sciences at the University of Maine, discovered ancestral mechanisms of cell wall formation, an array of ultraviolet/high light and thermal protection strategies, and a wealth of nutrient transporters encoded by the P. umbilicalis genome. Major support for the sequencing was provided by a contract from the Joint Genome Institute of the U.S. Department of Energy, which performed the sequencing, and by grants from the National Science Foundation to support analyses. The analysis of the Porphyra genome and the team’s comparative analysis to available nuclear genomes of other red algae revealed novel features, including a reduced complement of motor proteins, unique signaling molecules and augmented stress tolerance mechanisms. The unexpected findings offer a potential explanation for why the red algae are constrained to small stature relative to other multicellular lineages. Fossil evidence shows that red algae (Rhodophyta) are one of the most ancient multicellular lineages, dating back 1.6 billion years with the oldest taxonomically resolved fossil (Bangiomorpha, 1.2 billion years old) closely resembling a living alga, Bangia, that is related to Porphyra. Both nuclear and plastid genes from the ancestral red algae have contributed dramatically to broader eukaryotic evolution and diversity. Just as important, Porphyra and its ancestors have competed successfully in the intertidal zone, one of the most physically stressful habitats on the planet, with daily and seasonally fluctuating temperatures, high levels of irradiance, and severe osmotic stress and desiccation, and through numerous changes in climate and mass extinctions over time. 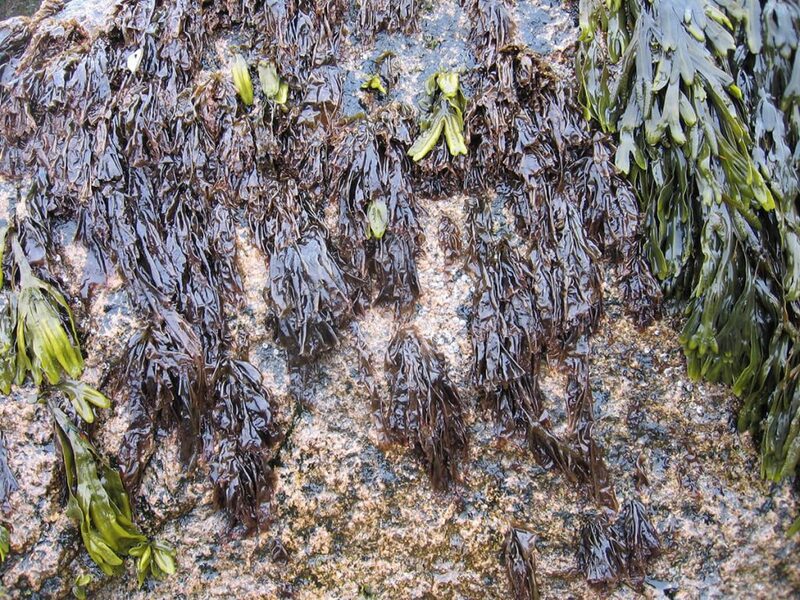 Today, Porphyra (laver) and related Pyropia (nori) species are valued as human foods, with a nascent laver aquaculture industry in Maine and Pacific nori established as the world’s most valuable sea vegetable aquaculture crop (approximately $1.5 billion annually). Porphyra is valued for its protein, vitamins and minerals. Yet until now, few red algal nuclear genomes have been sequenced. P. umbilicalis genome sequencing informs our understanding of red algal biology and how it differs from that of other eukaryotes. 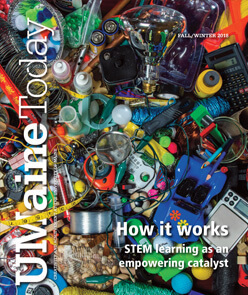 In their published findings, the research team focused on the species’ cytoskeleton, the cellular mechanisms to cope with stress in a harsh environment, photoprotection, signaling and homeostasis, plant defense genes, cell walls, nutrient acquisition at high tide, and contributions to human nutrition. They discovered that the cytoskeleton that is so central to growth, development and ability to respond to environmental signals in most organisms has a strikingly small number of elements in Porphyra and other red algae. Such a minimal cytoskeleton offers a potential explanation for the extreme reduction in stature and complexity of red algae compared to most other multicellular lineages. Laver has long been considered to be a good source of vitamin B12, but only bacteria can synthesize this important vitamin; however, Porphyra was found to have genes encoding proteins that can remodel the pseudocobalamin made by bacteria, making it bioaccessible as vitamin B12 (cobalamin) to Porphyra and also to humans who eat laver. In addition, the unique calcium-dependent signaling pathway in the cells further suggests that Porphyra may use distinctive mechanisms to sense and respond to its environment.